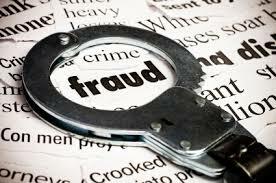 If you live in the Tampa Bay area, you know about our accident fraud problem. You may have seen pain clinics pop up overnight only to be shut down shortly thereafter. Perhaps, you sought treatment at a pain clinic after a legitimate car accident, only to realize the place you walked into had a distinct “pill mill” feel to it. Or, if you have not had any firsthand experience, I bet you have noticed it every time you have had to make an ever increasing auto insurance payment. Florida is the nationwide leader in accident fraud, and many see Hillsborough County as the epicenter. Over the past few years, Hillsborough County Commissioner, Kevin Beckner, has launched a legislative assault on accident fraud by passing ordinances designed to curtail the cash flow of the fraudulent activities, i.e. the pain clinics. However, this past Friday, August 8, 2013, the Second District Court of Appeals upheld an injunction stopping the Commissioner Beckner’s most stringent ordinance. In this post, Kemp, Ruge & Green Law Group will discuss the ordinance, why the court upheld the injunction and what can be done about the ordinance at this point, but before we begin, let’s briefly discuss how pain clinics operate. This is how a typical pain clinic scam works: someone will stage a car accident, report to the police officer who arrived that he suffered several injuries, then he will go to a clinic (that is also in on the scam), and the clinic will verify all of his professed ailments. When the insurance company sends the clinic the money for his treatment, the clinician and the person who staged the accident split the insurance money, and move on to the next scam. (For more detailed analysis of how these scams work and how much they cost, check out our previous post on the topic here). They had to offer proof they were associated with a board certified medical doctor. They were forbidden from employing convicted felons on any level of employment. They had to submit to random inspections. Though these requirements may seem stringent, (to some) they were a targeted attack at a costly crime that has run rampant in this area for far too long. In addition, despite these requirements, over seventy pain clinics obtained licenses from Hillsborough County before the original injunction was passed in January of this year. However, despite the backing of local law enforcement, the insurance industry and a decrease in staged accidents in the area, the Second District Court of Appeals upheld the injunction. The Second District did not issue a written ruling, therefore, supporters of the ordinance do not have any other judicial remedies at this point. As Rob Brazel, county managing attorney of the litigation division attests, “where they do that, there is no further avenue to go, to the state Supreme Court or anyplace else.” Because there is no written opinion, we can only speculate as to why the Court upheld the ruling. The Plaintiffs in this case (the pain clinics) argued that Hillsborough County was not playing fair with the licensing requirements. The point of the ordinance was to curtail accident fraud, but many of the plaintiffs were denied licenses due to issues that had nothing to do with accident fraud. Some claimed they were denied because of sexual harassment claims or drug abuse problems. Further still, many of the offenses occurred decades ago, and since then, made amends for those transgressions with the state licensing board. Thus, it was not under the purview of Hillsborough County to punish them further. While these arguments probably held some sway with the Court, perhaps the most important issue is two-fold. Not only does the ordinance pre-empt state law regarding who can have these licenses and who cannot, but it also imposes a different standard for pain clinic practitioners in Hillsborough County versus any other county in Florida. Regardless of however well-intentioned the ordinance was, this was (most likely) seen as an undue burden to everyone that had already received a license to practice under state law. From here, Commissioner Beckner has a long fight ahead of him. The ordinance must be amended in order to remove the injunction, however it is not clear exactly how it must be amended to please the Court. In addition, the only way the ordinance can be amended is with county commission approval. Furthermore, it will be difficult to see how an amended ordinance that does not pre-empt state law will also have the “teeth” necessary to crack down on accident fraud. For now, the injunction is firmly in place and we will all wait to see what happens next in the long, arduous fight against accident fraud. Rest assured, as soon as any new developments occur, we will let you know. As always, if you or someone you know has been an accident or a victim of someone else’s negligence, do not hesitate to contact us today. (877) 941-4878, Email or check out our website’s FAQ’s for video answers to our most popular questions.